Clinic Synopsis: Improvisation can be defined as the outward expression of an internal desire. In other words, what one is thinking is now expressed spontaneously in the form of music. Improvisation can be integrated into the learning of music and can be a vehicle toward superior performance. 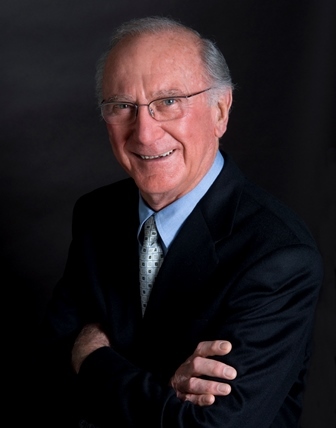 Clinician Biographical Information John H. Beck has been a member of the Eastman faculty since 1959. He received his bachelor’s degree (1955) and master’s degree (1962), as well as Performer’s Certificate from Eastman. He retired from Eastman in 2008 and continues as Professor Emeritus of Percussion and teaches a class in The History of Percussion. Birthday – February 16, 1933 Beck’s career as a performer and teacher includes posts as percussionist, timpanist, marimba soloist with the United States Marine Band (1955-59); principal percussionist with the Rochester Philharmonic (1959-62); and timpanist for the Rochester Philharmonic (1962-2002). He has made numerous solo appearances, including performances with the Eastman Wind Ensemble and Philharmonia Orchestra, Syracuse Wind Ensemble, Chautauqua Band, Rochester Chamber Orchestra, Corning Symphony, Rochester Philharmonic, Memphis State Wind Ensemble, Pennsylvania Festival Band, and Filharmonia Pomorska, Poland. Other engagements have included, the faculty of the Grand Teton Orchestra Seminar, conductor of the Penfield Symphony, performer, clinician, teacher, and conductor for the International Workshops for Percussion in Bydgoszcz, Poland; adjudicator for the International Percussion Competition in Luxembourg; the Japan Music Education and Culture Promotion in Tokyo, Japan; Timpani Competition, Paris, France and Snare Drum Competition, Atlanta, Georgia. He was percussionist in residence at the Royal Academy of Music in Copenhagen, Denmark; the Royal Northern Academy of Music in Manchester, England, the Interlochen Center for the Arts Summer Program and Rowan University, NJ. Clinician for the International Foundation for Performing Arts Medicine, New Jersey; soloist and instructor at the Encontro Latino Americanos De Percussao in Santa Maria, Brazil; instructor, clinician, adjudicator and performer for the Giornate della Percussione Competition in Fermo, Italy; Kosa International Percussion Workshops in Vermont; International Forum of Percussion in Zagan, Poland; Crossdrummig Percussion Festival in Warsaw, Poland; Lithuanian Academy of Music and Theatre, Vilnius, Lithuania; 10th Anniversary of Neopercusion, Madrid, Spain; National Youth Orchestra, Seville, Spain and the International Percussion Workshops in Croatia. He has also toured Russia with 14 percussionists from the Percussive Arts Society. As a conductor, Beck has appeared with the Eastman Percussion Ensemble (1962-2008); in a tour of South America with the Aeolian Consort as percussion soloist (1977); and has participated in numerous guest conducting and percussion clinics in the United States and Europe. Articles by Beck have been published in Music Journal, The Instrumentalist, Woodwind World, Brass and Percussion, and Percussive Notes; he was also percussion columnist for the National Association of College Wind and Percussion Instructors (NACWPI) Journal (1965-72). He has also contributed articles to the Grove Dictionary of American Music and the World Book Encyclopedia. Carl Fischer, Boston Music, Kendor Music, Meredith Music, MCA, Wimbledon Music, Inc., Studio 4 Productions, and CPP Belwin have published his compositions. His Encyclopedia of Percussion is in its second edition and is published by Routledge. He has served as state chairman for percussion, New York State School Music Association (NYSSMA, 1970-72); president of the New York State Percussive Arts Society (1976-82); national second vice president (1982-84), first vice president (1984-86), and president of the national Percussive Arts Society (1987-90). Among the honors Beck has received include being named the Mu Phi Epsilon Musician of the Year (1976); the Monroe County School Music Association Award (1996); Eastman’s Eisenhart Award for Excellence in Teaching (1997); and the Arts and Cultural Council of Greater Rochester Award for contributions to the arts (1999). He was inducted into the Percussive Arts Society Hall of Fame in 1999. The Percussive Arts Society presented him with an Outstanding Service Award (2002). At Eastman's 2003 Commencement, he was awarded the Edwin Peck Curtis Award for excellence in undergraduate teaching. The Commission Project presented him with the JD Award for outstanding service to music education in 2004. Since retirement in 2008, he has been awarded the Distinguished Service Award from the New York State School Music Association (2009), The President’s Award from Rowan University (2010), the Lifetime Achievement Award from KOSA International Percussion (2010) and the Life Time Achievement Award from Giornate della Percussione, Fermo, Italy (2010). His book PERCUSSION MATTERS: Life at the Eastman School of Music was published in December 2011 by Meliora Press an imprint of the University of Rochester Press. The John Beck Composition Prize established by Percussion Rochester, a biennial percussion festival, will be awarded as a highlight of the 2012 festival and every following year of the festival. On May 12, 2016 he received an honorary Doctor of Music degree from the College of Performing Arts, Rowan University, NJ.